KDHamptons: What inspired you and your mom to launch the Charmajesty brand? 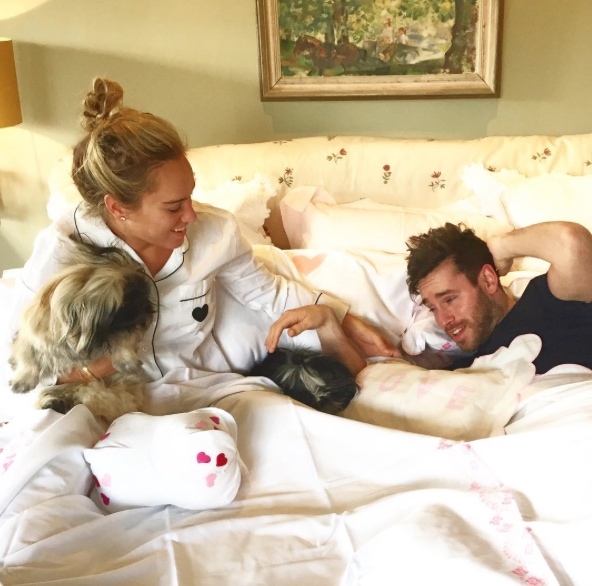 Charlotte LeBoyer: My mother Lauren and I launched our Charmajesty website during Christmas 2014 with the ethos: “Life is so hard….bed should be good!” Bed is the one place where you spend the most of your time, it should be relaxing, rewarding and refreshing and a delight to get into every night. 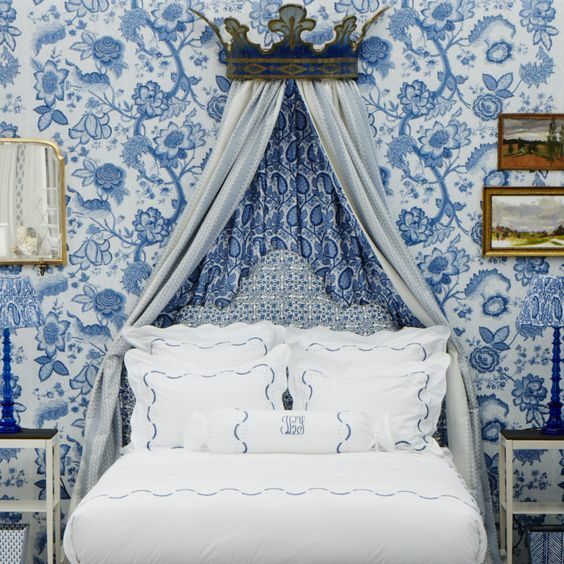 Bed should be the one place EVERYONE feels like royalty. This is what Charmajesty is all about. KDHamptons: Charmajesty is a transatlantic family operation, how does that work and what inspired your brand name? Charlotte LeBoyer: Char is me [the “Char” in Charmajesty] and my mother is Lauren [Lady L]. I live in New York and my mother in London, and us being so far apart inspired us to launch our brand internationally as one way to stay connected. We FaceTime every morning and night (from bed of course), talk shop, and everything else! We have traveled all over the world to source the finest cottons. My mother is an avid linen collector and has the most amazing linen closet I have ever seen. 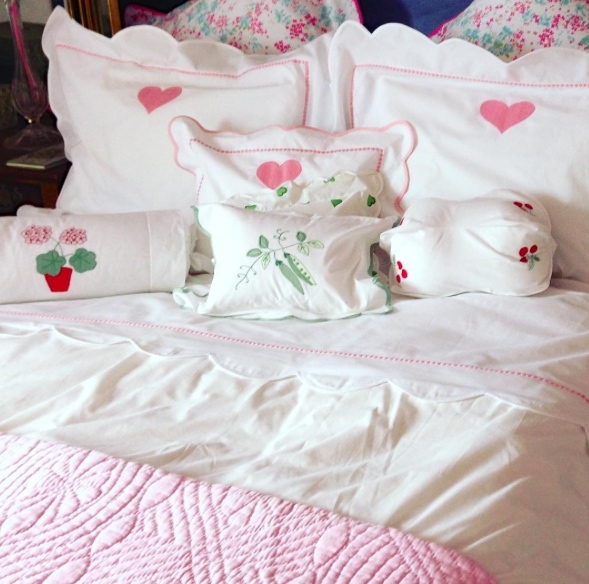 She’s amazing at sourcing vintage Porthault and special antique linens and mixing them with everyday brands. KDHamptons: Where is your product made, and how can our readers purchase Charmajesty? 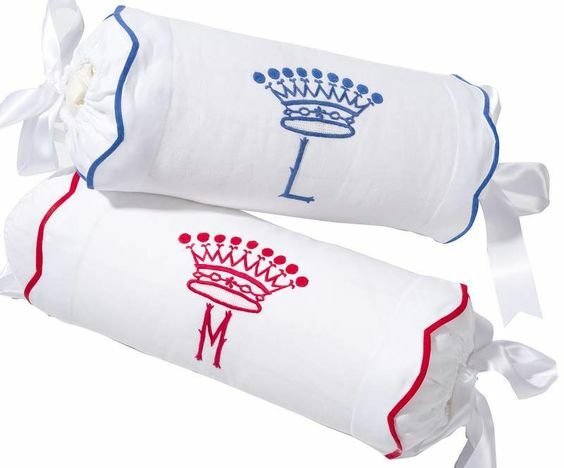 Charlotte LeBoyer: Our product is made in Italy and the U.S. with the finest Egyptian cotton. Currently our product is only available through www.charmajesty.com. 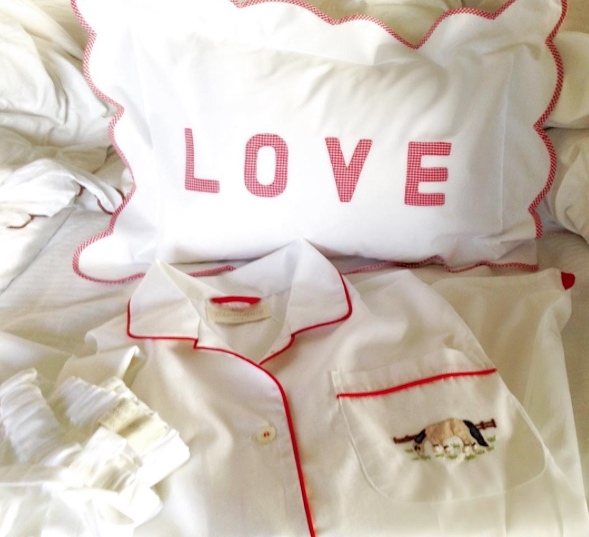 Our big news is that we recently launched the softest cotton PJ’s to match our bedding, and our clients have fallen in love with them. 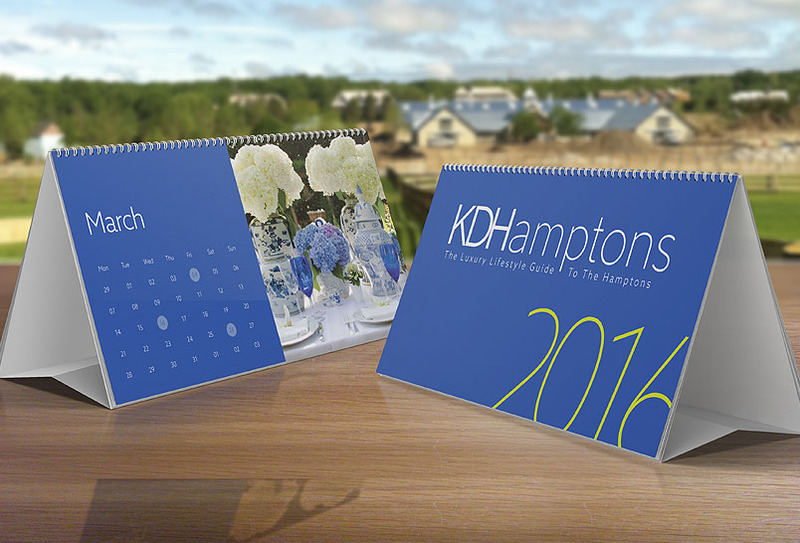 KDHamptons: Your collection is so perfect for a Hamptons home. Have you spent much time here? Charlotte LeBoyer: Yes of course! 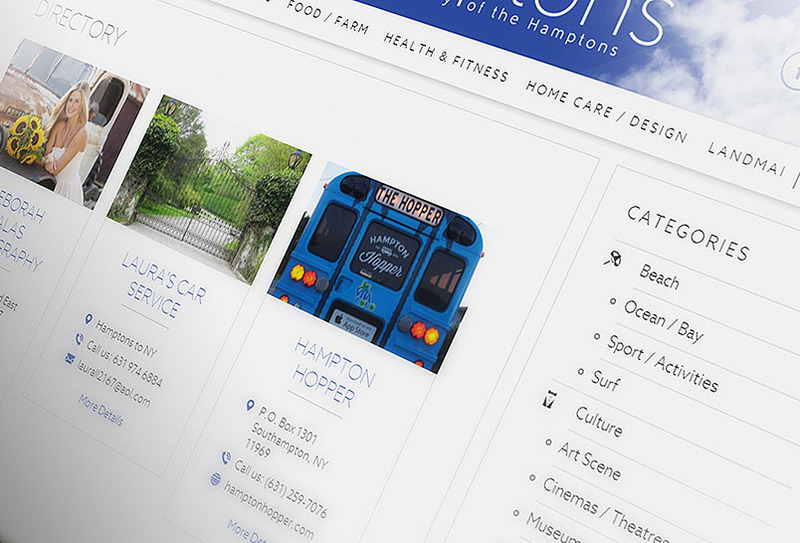 We love the Hamptons and as I am based in NYC, I spend lots of summer weekends on the East End. We have new product launching for summer that is ideal for a Hamptons beach house, although your house guests many never want to leave! 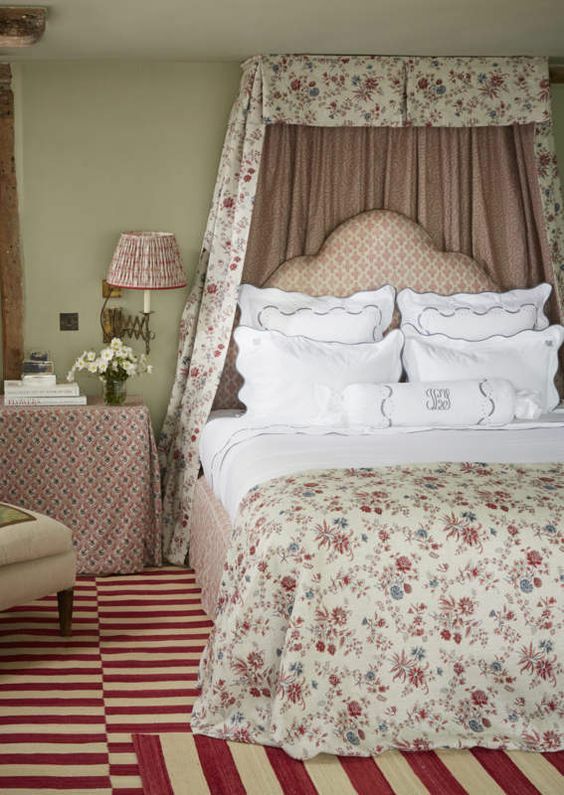 KDHamptons: What is your idea of a perfectly dressed bed? How many pillows & patterns? 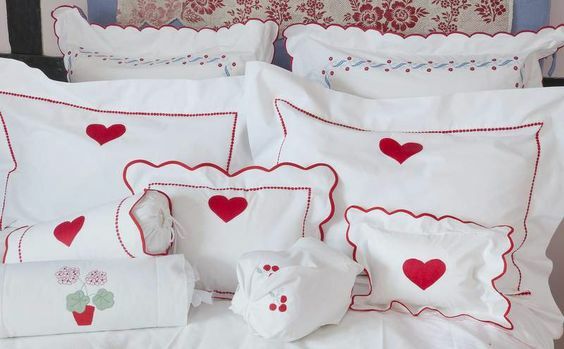 Charlotte LeBoyer: There is no limit to the amount of pillows one should have on a bed. More is more! I have at least six pillows on my bed at all times. People always laugh at me, but I never ever travel without a pillow from my bed, hotel pillows can always be SO disappointing. I went to South Africa over New Years and took 4 pillows on the plane with me…I did get a few strange looks on that flight! I LOVE mixing patterns. I love blue gingham, I find it so cozy and retro but still clean and not too much pattern in your face. Hearts, crowns and stars are my thing, and one can never have too much of this. I hate matchy-matchy sets. 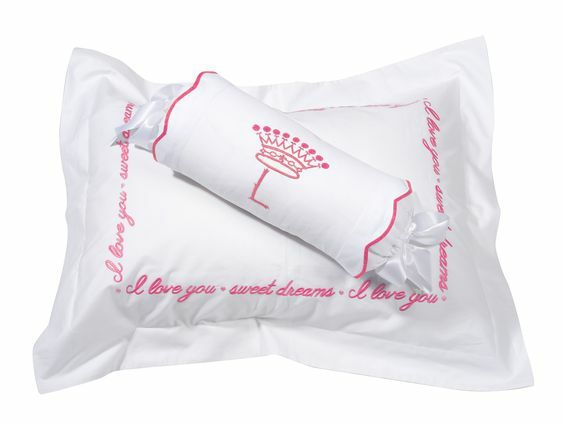 We encourage clients to create your own bed which reflects your personality in a custom designed set. KDHamptons: What makes Charmajesty so different than other brands? Charlotte LeBoyer: Most of our product is hand made by artisans in Italy, it’s young, fresh, sophisticated and whimsical. 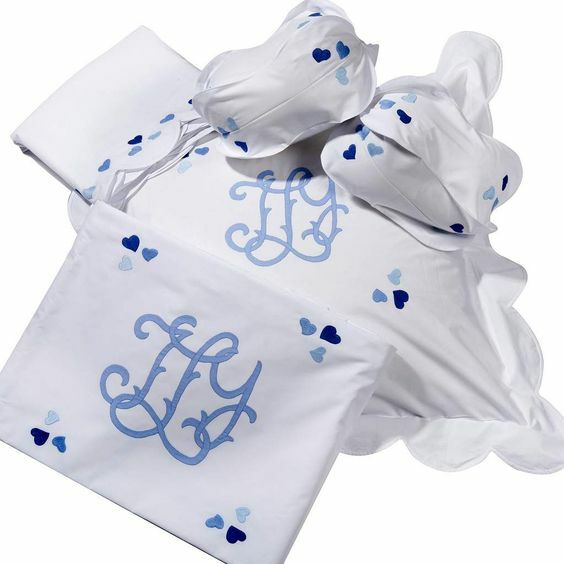 It’s wonderful because you can just buy one small pillow case to start out your collection and mix it with your current brands. We love seeing how our customers style their Charmajesty, even if it is not a full set. It’s all CHARMAGICAL!